Amongst all the food trends we love (shout out to you, brunch! ), there’s one we can rest assured will never go out of style: the burger. From fast, casual eats to gourmet creations, the toppings may get more strange but the mouth-watering, beloved burger remains an American classic. To show off our own local flavors, we’re touring Ann Arbor, Ypsilanti and even hopping over to Saline to track down the best burgers in town. 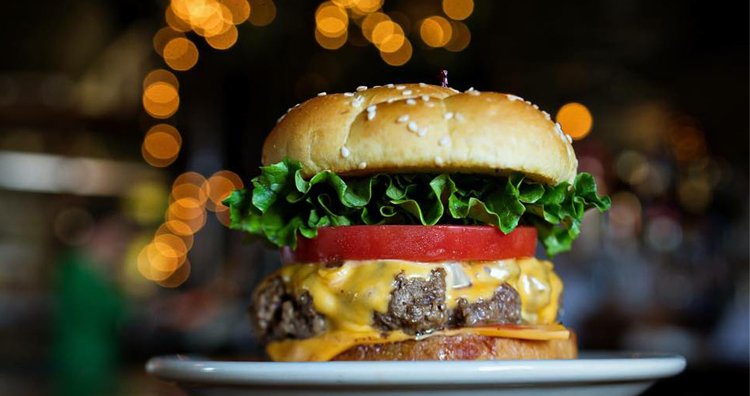 Be warned, our guide features burgers (and photos) that will likely cause an immediate craving. But luckily, these hometown spots are right down the street. Enjoy! This chain restaurant has two Ann Arbor locations and is dedicated to the fine art of the burger. Theirs feature 100% organic, grass-fed and free-range meat. You can choose from five delicious signature burgers, vegetarian and vegan options, or build your own. Then, be sure to load up on fresh cut fries and thick, hand-scooped milkshakes! It’s all in a name, right? And at Frita Batidos, the burgers are the main attraction. The Frita is a traditional Cuban burger made from spicy chorizo and served with shoestring fries on a soft egg bun. A Batido is a tropical milkshake made with fresh fruit, crushed ice, sweetened milk and rum (optional, of course). That’s what we call a perfect pairing! Sidetrack has been a Ypsilanti destination since it opened its doors in 1850 and it’s easy to explain why. They serve some of the best pub food, pour some of the best beer, and offer it all in one of the best neighborhood atmospheres. Their burger — Our Famous Burger — was included on GQ’s 2005 round-up of The 20 Hamburgers You Must Eat Before You Die, so it’s probably about time you tried it. If you’ve been in Ann Arbor very long, you know Krazy Jim’s — and you know exactly how to order. 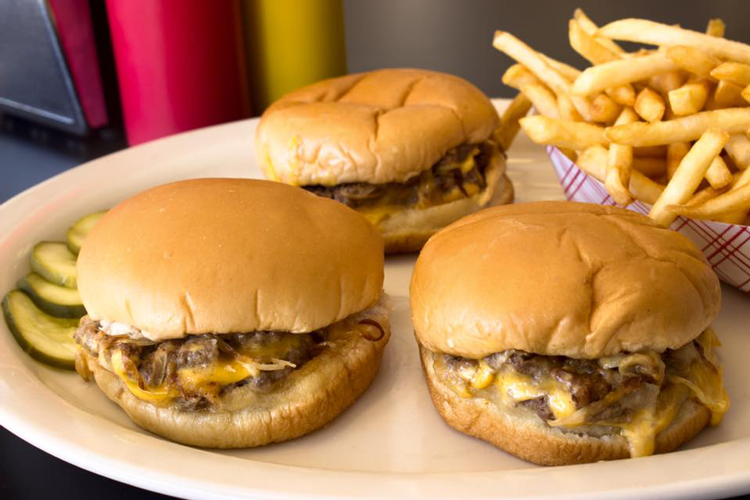 They’ve been serving up customizable sliders with one-of-a-kind style since 1953. When you arrive, simply grab a tray and follow the step-by-step instructions on how to order. 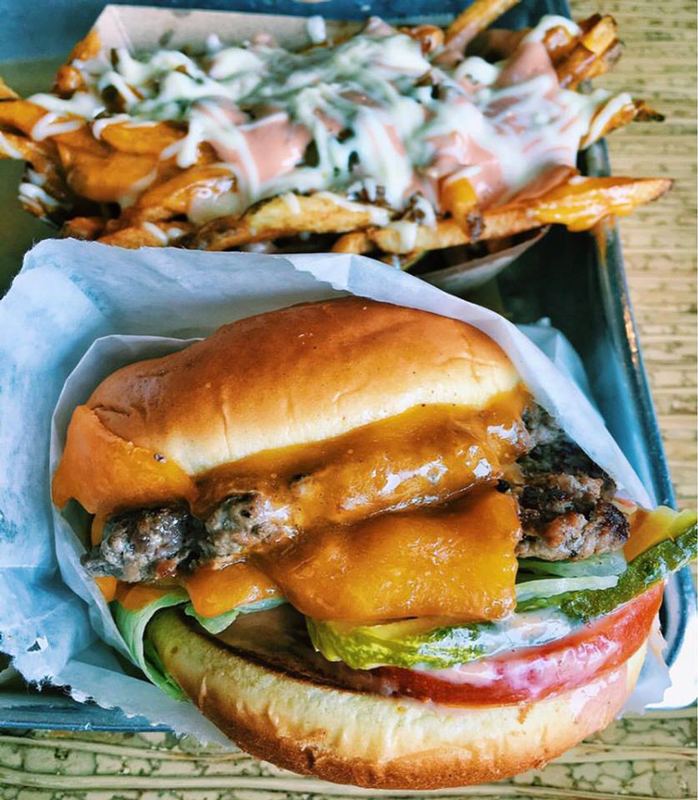 By the time you reach the end of the line, you’ll have one of Ann Arbor’s best burgers prepared just the way you want it and made with fresh beef, ground in-house daily. The family-owned Rappourt offers a communal dining room and a true community atmosphere. Pair that with a gourmet burger and you’ll leave happy every time. Their menu offers three signature burgers: their namesake burger topped with Gruyere cheese, the A2 Melt with Wolverine Lager beer cheese, and the Diner Burger which features a smashed patty and classic toppings. Additional bonuses include 48 taps of rotating craft beer and a delicious Vegetarian Black Bean Burger! Hunter House Hamburgers was established in 1952. Their original home is a small, white pill-box diner on the first paved road in America in Birmingham, Michigan. Their second location opened in Ann Arbor in 2014. 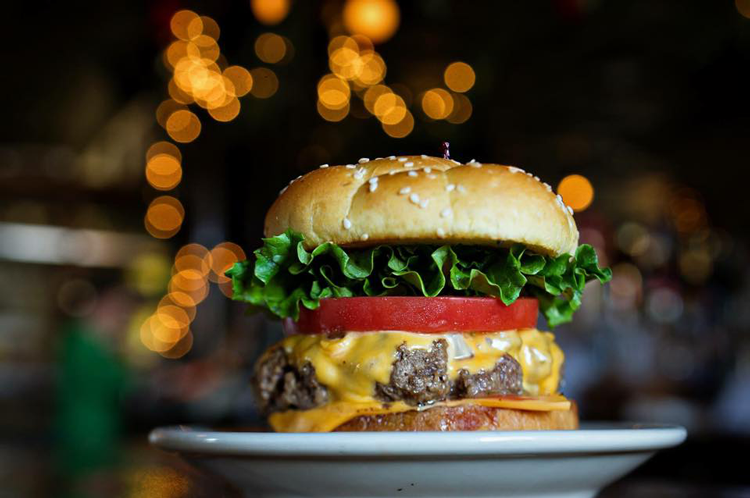 Consistently named one of the best restaurants in the Detroit area and frequently ranked the best burger in Michigan, Hunter House is a must-visit! In the Got Burger kitchen, the meat is always fresh and the burgers are always handcrafted with natural ingredients. If you decide not to build your own, you can choose from nine signature options, including the vegetarian Portobello Bliss. But with choices like the Puree Garlic Burger served with swiss cheese, lettuce, tomato, onion and pureed garlic sauce, it may be tough to choose. CBC is a sports bar, a beer bar and a gourmet restaurant all rolled into one. Alongside one of the biggest selections of craft brews and beers anywhere, they offer a menu of pub-inspired eats that includes everything from Duck Poutine to Chicken Parmesan. And right in the middle of that menu, you’ll find ten one-of-a-kind signature burgers. For example, the Pretzel Burger comes with maple glazed bacon, cherry BBQ sauce and cheddar cheese on a pretzel bun. Yum! HopCat is known for a lot of things, including their famous Crack Fries and having 100 beers on tap. Today, we’re making sure they’re known as the home of one of the best burgers in Ann Arbor. In addition to a classic burger, a turkey burger and a black bean burger, the menu features four stuffed burgers: a half-pound of signature beef patty stuffed with Wisconsin American cheese! See the menu here then get to HopCat ASAP (you’ll want to, trust us). Offering a laid back, neighborhood bar setting, Dan’s Downtown Tavern has been a Saline favorite for years. Their menu features comfort foods, one of the largest craft beer selections in town and an entire section dedicated to custom burgers. You can choose one of 15 creative flavor combinations — from the Cowboy topped with chili, bacon, jalapeños and BBQ sauce to the Peanut Butter Burger which includes a peanut butter infused patty! The Wurst Bar may be named for its gourmet bratwursts, but the burgers should definitely not be overlooked. Made with house-ground brisket and dipped in a blend of umami-rich sauces and flat iron grilled, every 6.5-ounce burger is cooked to order and comes atop a pretzel, sesame seed or brioche bun. Is your mouth watering yet? If not, check out Mr. Monster on the menu. Zingerman’s Roadhouse is a go-to option amongst many Ann Arbor locals. So when you’re craving a burger, it’s always a safe bet. This branch of the Zingerman’s Community of Businesses brings the fresh ideals of Zingerman’s together with globally-inspired eats and locally-sourced ingredients. That means when you order your burger, you can bet the hand-formed patty was made with Washtenaw County meat! To learn more about all the Zingerman’s businesses in Ann Arbor, check out Your Guide to 14 Zingerman’s Businesses in Ann Arbor. Do you have a favorite local burger?